Amdor slat design provides superior strength and durability. Top, bottom, side and slat seals keep the dirt and weather out without damaging the door finish. Variety of optional features, mounting hardware and configurations available. 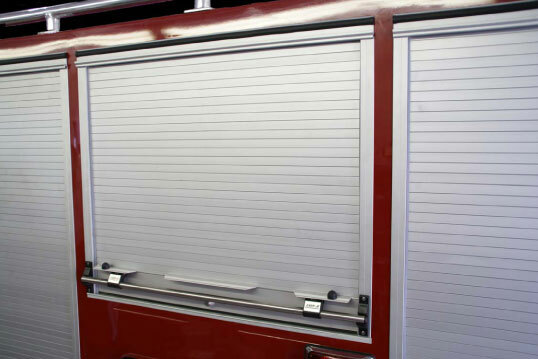 Smooth back surface of door virtually eliminates equipment hang-up. Positive snap-in securement provides ease of service and reuse of slat shoe. Door ajar switch system available.